I’m joining a day late but I still can do it in January, just it will take me to January 31. As I mentioned in my New Year’s resolution post, this month I will be doing a 30-day minimalism challenge to get a fresh start and practice mindfulness, solitude, and simplicity. Feel free to join in if you want, I posted an image with all the challenges for you at the bottom of this post for reference. I promise, cross my heart, that eventually this blog will come to life. For the first time in a quarter of a century I forgot to buy myself a gift… I can’t believe it! You see I have a little tradition going – since me and my ex split up I’m buying myself a gift on his birthday. It really cheers me up and reminds me of an excellent decision I have once made (I’m the one who said ‘good bye Charlie’). I was celebrating that faithfully for twenty four years and yesterday somehow I missed it. I think I already said a little abut myself in my first post so, I guess, I’m a little less behind with my assignments. Yep, the course has already started and the first lesson was to publish a post and say “who I am and why I’m here”. Done that, so quickly next. Bits and pieces is born. I’m very new to WordPress, I guess it will take me a while to learn how to beautify this blog. I have another one on the blogspot dedicated to my hobbies (evalinamaria.blogspot.ca) and this blog will be dedicated to my writing. Yeah, can you believe that I do want to write and write good? I’m creating this little corner so I can start my Blogging 101 course. Since this is my first post – let me introduce myself. My name is Evalina Maria, I’m quite mature person who loves good writing, cross stitching while listening to audiobooks, reading and watching a good movie once in a while. I have a dog name Frosty Girl and I love her dearly. 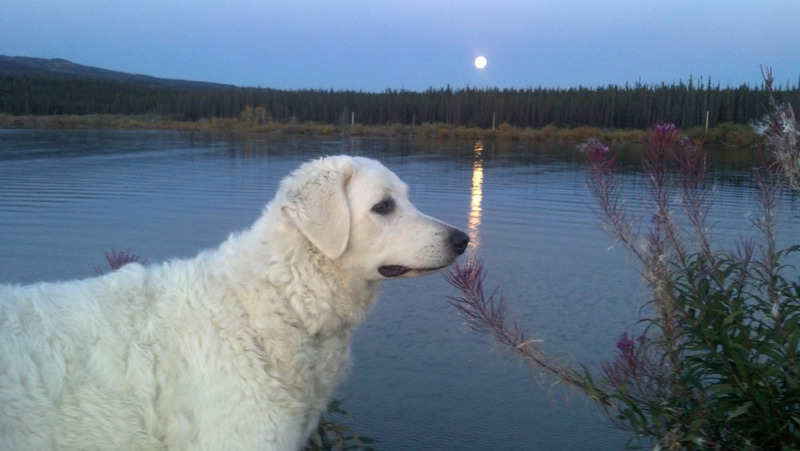 She is kuvasz (Hungarian sheep dog) and she is almost two years old. She is a very good girl but a slow learner or maybe her learning progress is limited by my inability to communicate with her… well one of us needs a good trainer. 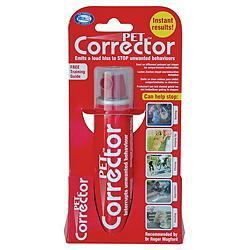 Just recently I have discover ‘Pet Corrector’ and, cross my heart, that is the best training tool I ever had. It is a small can that makes a hissing sound. Frosty Girl likes to bark while inside the house and I wasn’t able to stop her until now, just one little hiss and she stops immediately. I would love to show you my Frosty Girl and the ‘Pet Corrector’ but first I must learn how to insert the picture into the post… I’m telling ya, I have a lot to learn! If you have a dog that barks a lot, get it! You’ll love it.